What Is A Deer Scrape? 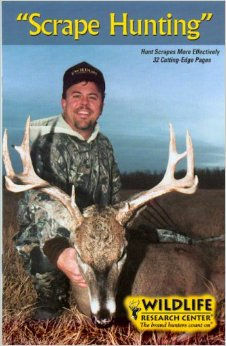 When making a scrape a buck will rub his antlers and forehead gland on a low hanging branch , and then lick the branch.. He then will paw the below the branch and urinates over his tarsal gland into the scrape. Some deer scrapes are made to establish boundaries in a buck's home range, or between two different types of habitat. You can find buck scrapes along trails, creeks, fences, old roads and field edges. Most of these open area scrapes being made at night. Random scrapes found that are not frequently used before breeding occurs. Most scrapes before the rutting season are secondary scrapes. Are frequently used during the two to three weeks just before peak breeding. 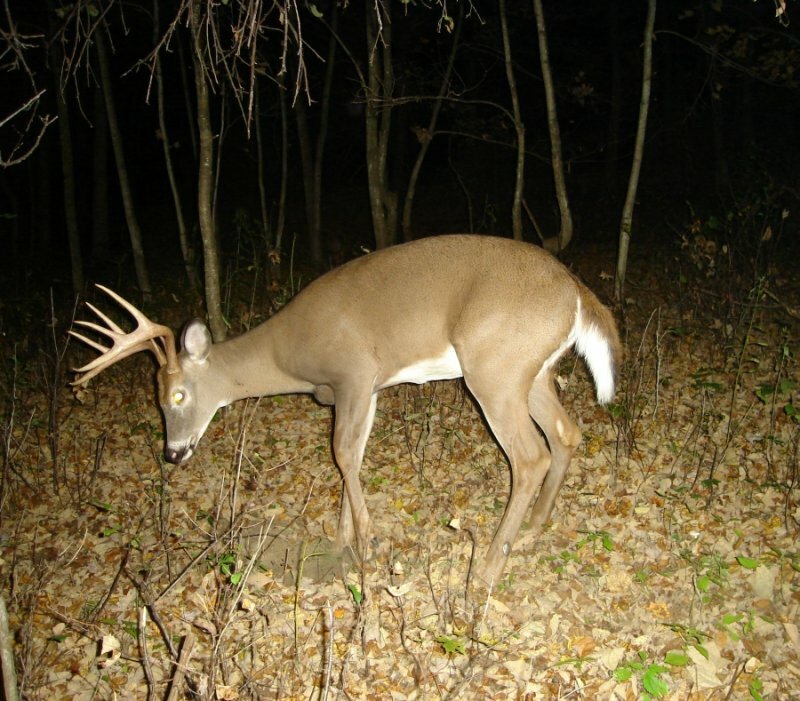 Primary scrapes can be used by many bucks, on wooded trails near food sources and doe bedding areas. Because primary scrapes are made in the security of cover, they may be used year after year. A scrape is both a scent signal left for does; to help identify a buck's dominance in the pecking order. It can also be a signal to other bucks that there is a "new sherrif in town". It is quite likely that because of this the sexual intensity of the lesser buck is suppressed. Subordinate bucks, if they scrape at all, do most of their scraping after the period when mature bucks scrape most intensely. Some biologists believe that deer scrapes have a complex purpose that may actually have run its course by the time breeding begins. The goal should be to find travel routes that at least one mature buck is using. In other words, you should be looking for scrape lines. You don't have to hunt directly over a scrape if you can establish a travel line that the buck takes during his scrape run. This makes it easier to play the wind, if need be, to decrease your chances or being detected by a bucks keen senses. If you find a single deer scrape not along a travel route, it's probably won't be as productive an area to hunt. For instance, hunting over a buck scrape along the edge of an open field is not ideal. A line of bigger deeply dug scrapes found back in cover is a much better choice. As with buck rubs, hunting buck scrapes can be a very useful tactic during the right time of the year.